Toffee Apples take me back to my childhood. I used to get one every year and ever year the apple was mushy but totally delicious with its sweet candied toffee and sprinkles. 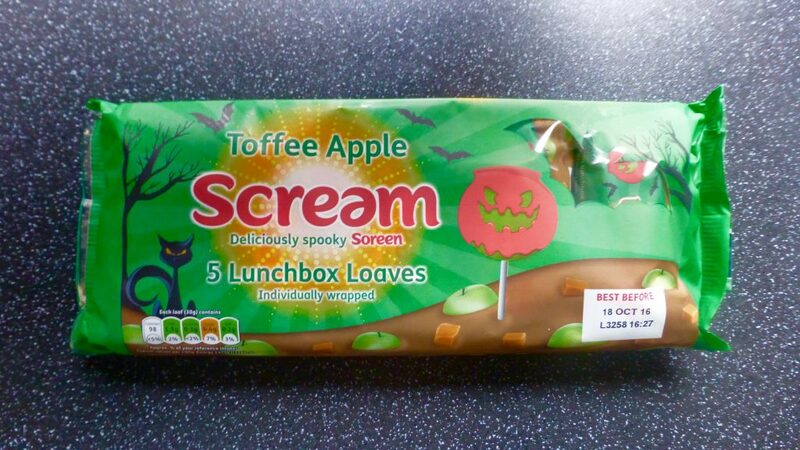 Taking this classic Halloween combination Soreen Toffee Apple is here for a limited time only. Given my recent love of Soreen I couldn’t not pass up the Toffee Apple. These are part of their lunchbox range and consist of five individually wrapped mini loaves and save on any form of cutting, which is a godsend. 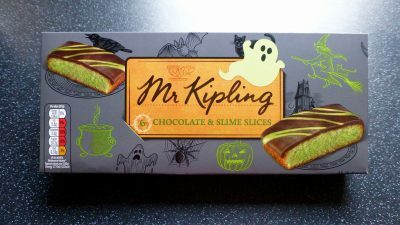 These were on offer for a £1.00 in Tesco and are suitable for vegetarians. I am however not sure how well they will go down with trick-or-treaters usually they want the candy than the malt loaf. I’m a toffee apple loaf with toffee pieces. I’m a delicious treat. 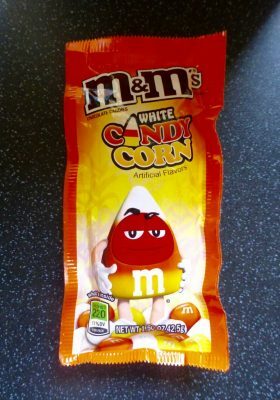 Ideal for Trick-or-Treaters! Per loaf: 98 kcal, 0.3g sat fat, 6.4g sugar. With that classic squidgy maltyness we all love from Soreen this is no different, in fact it seemed even more squidgy. The apple flavour was present in both smell and taste and was a lot punchier than I expected. 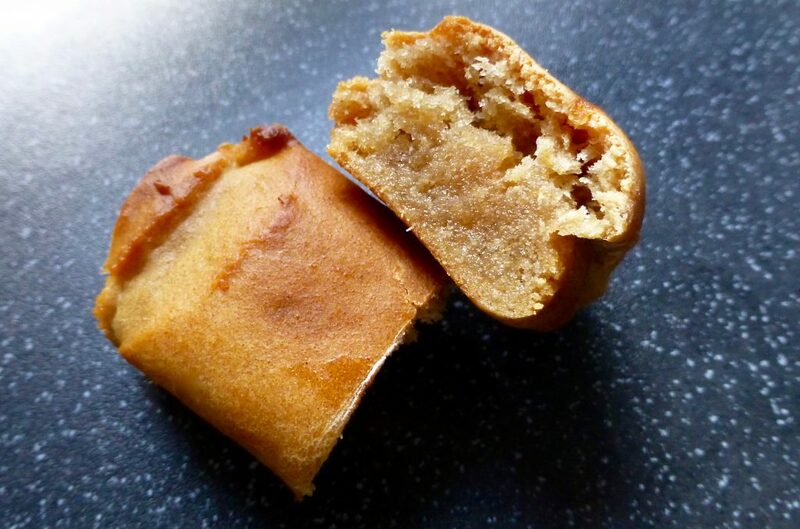 The toffee was harder to detect but began to make a subtle appearance as I munched on. The toffee flavour certainly depends on the amount of toffee pieces, my second loaf had far more visible pieces and gave a more definitive toffee apple flavour. There seems to be some consistency issues with the toffee, but these are still nice and do depict the toffee apple. The malty loaf is very sweet and sticky and makes for a good limited edition flavour for the upcoming spooky season. It certainly isn’t my favourite Soreen, I am not sure anything can top the banana, but it certainly isn’t the worst.